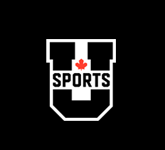 Prior to this week, the University of the Fraser Valley golf program had never won a team medal or an individual title at the Canadian University/College Championship. In the aftermath of 72 holes of golf over four days at Chilliwack Golf Club, the Cascades can emphatically scratch those items off their to-do list. 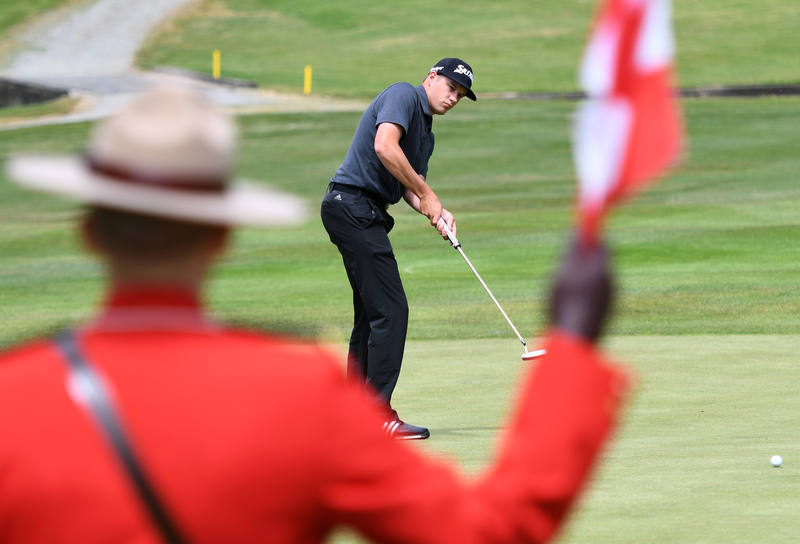 On the men’s side of the Golf Canada event, it was a Cascades coronation. UFV claimed the team title in dominant fashion, posting a combined score of 26 under par for the week to easily outdistance the Victoria Vikes (-9) and Manitoba Bisons (even par). 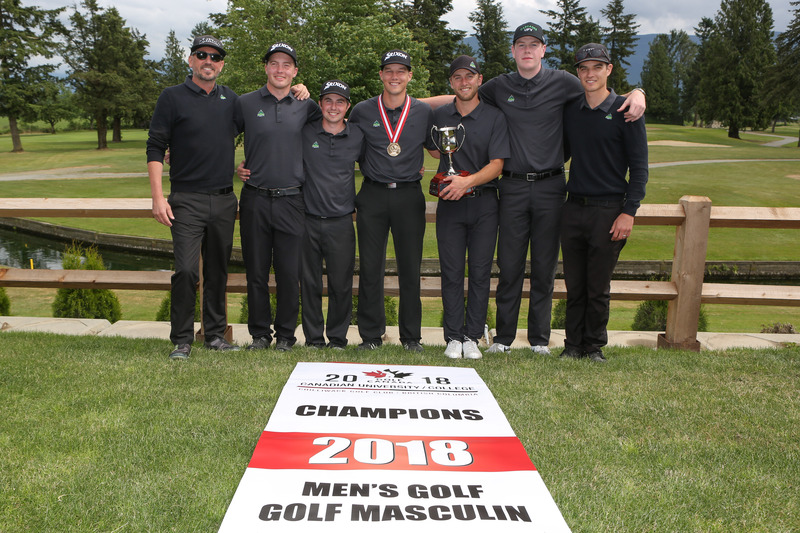 Daniel Campbell made it a UFV sweep of the top men’s prizes – he won the individual crown, finishing at -11 for the week, four strokes clear of Baptiste Mory of the Laval Rouge et Or and Wyatt Brook of the Vancouver Island University Mariners (both -7). The Cascades women, meanwhile, staged a memorable rally during Friday’s final round. Entering the day eight strokes back of the podium, they posted the second-best round of the day, shooting a combined eight over par wrap up the tourney at +58 and leapfrog both the Montreal Carabins (+62) and Toronto Varsity Blues (+65) to claim the bronze medal. UFV’s comeback made it an all-B.C. affair on the women’s team podium; the UBC Thunderbirds (+19) and Victoria Vikes (+53) took gold and silver, respectively. Daniel Campbell putts on the 18th green Friday as a Mountie tends the pin. Friday’s successes bookend a sensational 2017-18 campaign for the UFV golf program. 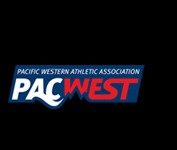 Head coach Chris Bertram’s charges swept the men’s and women’s team titles at both the PACWEST conference and Canadian Collegiate Athletic Association (CCAA) national levels in the fall, while collecting a bevy of individual hardware including CCAA medals for Campbell (men’s gold) and Maddie Kapchinsky (women’s silver). 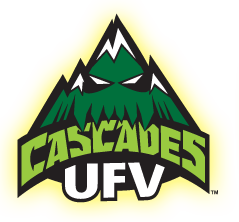 “It’s a historic day for our program, and bigger-picture, I think it’s a great day for UFV Athletics,” Cascades head coach Chris Bertram enthused. “To get a win out here at a national championship against the biggest programs in the country, we’re certainly very proud of that. It takes our golf program to a new level, and it’s really satisfying to be out here for so many years working to get this, and finally getting to push it over the top. I’m proud of the entire group. Campbell, a Bellingham, Wash. product who joined the Cascades last fall after two years at Skagit Valley College, capped a dream season by shooting a tidy one-under 71 on Friday, with two birdies against just one bogey. It was his fifth tournament win of the campaign – already a career record for a UFV men’s golfer. “The individual (title) is honestly nice, but we were here to win the team championship,” said Campbell, who was named the PACWEST male athlete of the year across all sports earlier this spring, and shared the UFV male athlete of the year award with wrestler Brad Hildenbrandt. “Individual is just extra, really. The team championship is what means the most, because all of us played well together. Halen Davis (-4 for the week, T-6th place) wrapped up a top-10 finish, while Zach Olson and Kyle Claggett tied for 11th at -1. Connor O’Dell (+5, T-35th) fired an even-par 72 on Friday to help the Cascades seal the title. “This wasn’t a surprise,” asserted Bertram, reflecting on the men’s team title. “They did exactly what we expected. The bronze medal for the Cascades women’s team was all the more remarkable considering the four-count-three tournament format. To translate, each women’s team was allowed to enter four athletes, with their best three rounds each day counting towards their team score. The UFV squad has just three on the roster, though, meaning they had no margin for error. 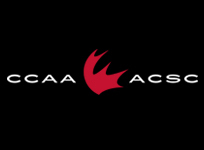 After struggling to a combined +28 on Thursday, the Cascades made a huge rally on their second nine holes of the day Friday, accelerating past the Carabins and Varsity Blues and landing on the podium. Kapchinsky (+15) and Emery Bardock (+17) finished solo eighth and ninth, respectively, while Hannah Dirksen (+26, T-18th) came through with her best round of the week on Friday – a four-over 76. UBC’s Avril Lee (-4) cruised to the women’s individual title; Sarah Dunning of the Guelph Gryphons (+3) and Toronto’s Ana Peric (+7) earned silver and bronze, respectively. Bardock said the Cascades women drew inspiration from their strong team chemistry. Thanks @TheGolfCanada @UFVCascades @ChilliwackGolf for hosting me and the rest of @varsitytbirds this week! Congrats to UFV as well on the win! 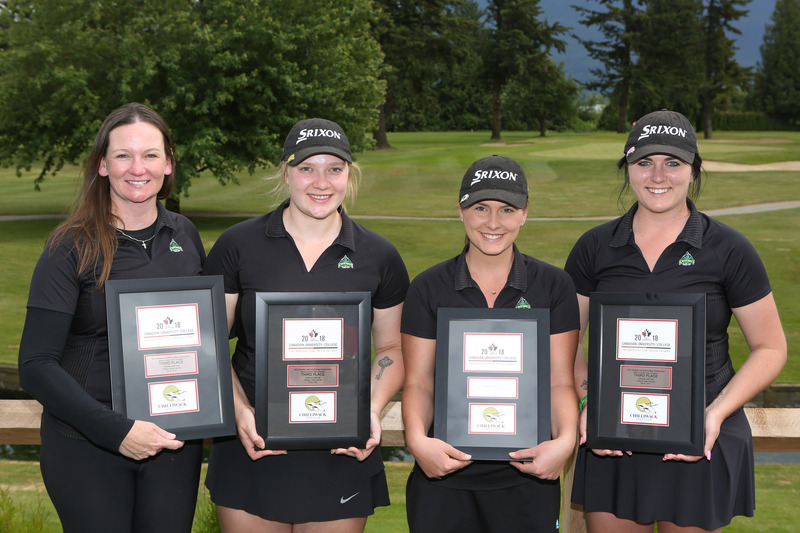 Congrats to @UFVCascades Golf team on winning 1st National Championship…great program, great Coach, quality school! This is how we do. Thanks @thegolfcanada for an incredible week.